Beige floral lehenga set by Sailesh Singhania at AASHNI+CO. 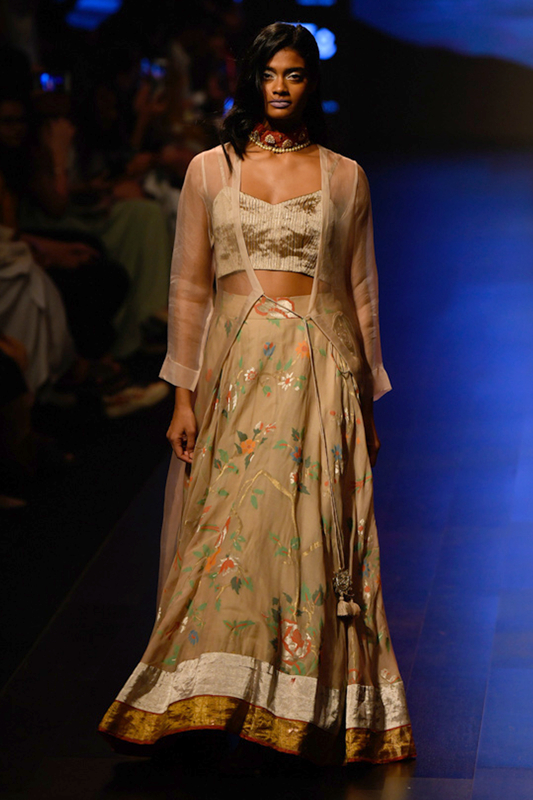 Sailesh Singhania has the perfect pick to don at the evening soiree featuring a beige lehenga embroidered with floral motifs, paired with a strappy crop top and a sheer cape in organza. Style the look with a statement choker and jhumkis.